Via Lofts features carefully crafted, open concept floor plans. 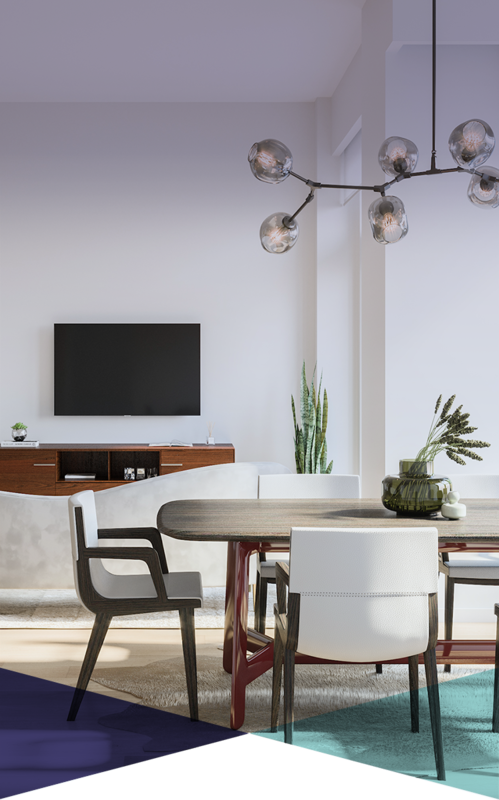 Available in two or three-bedroom options, every home has ceilings over eleven feet tall, large windows & a Miele appliance suite. 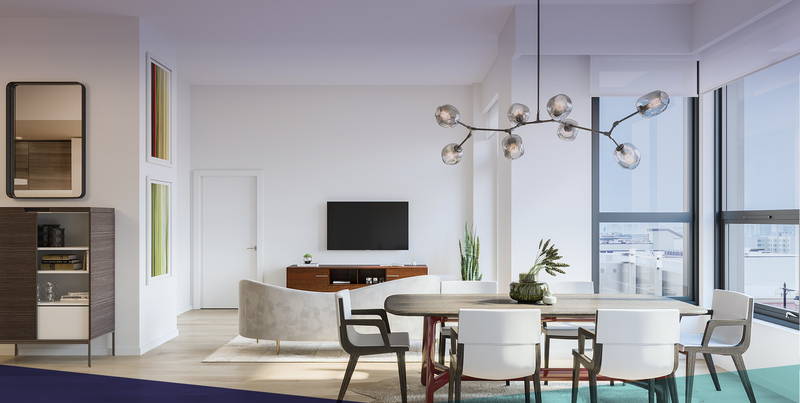 A limited number of homes have private balconies and select residences have New York City views. 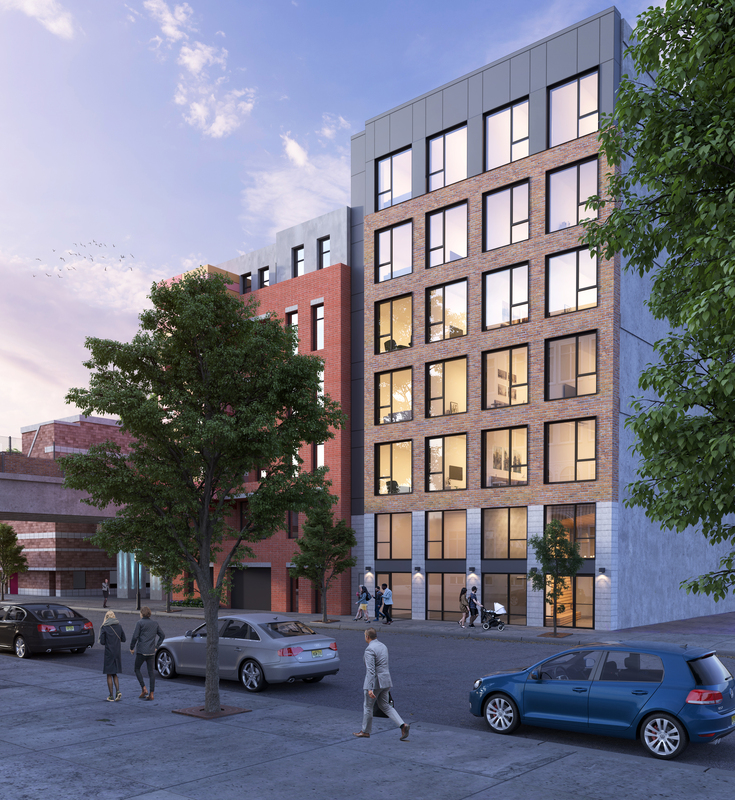 Via Lofts sits in the hip north-end of Hoboken, THE place to be. 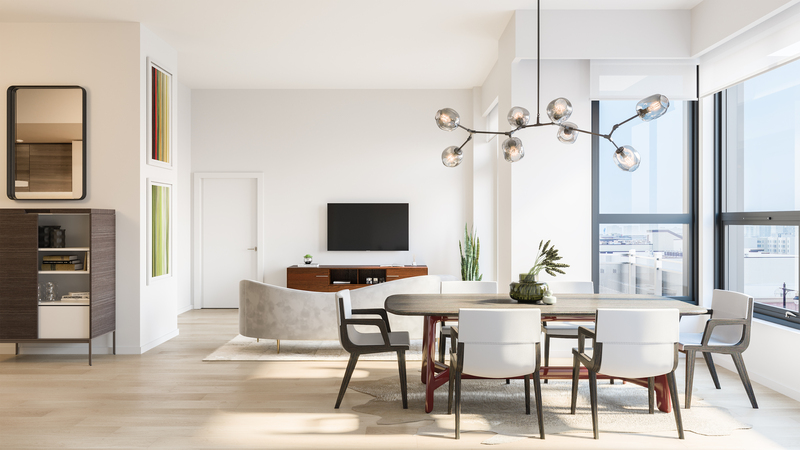 Available in two or three bedrooms, every residence features open concept floor plans with distinctive features like ceilings over 11’ tall and private parking. 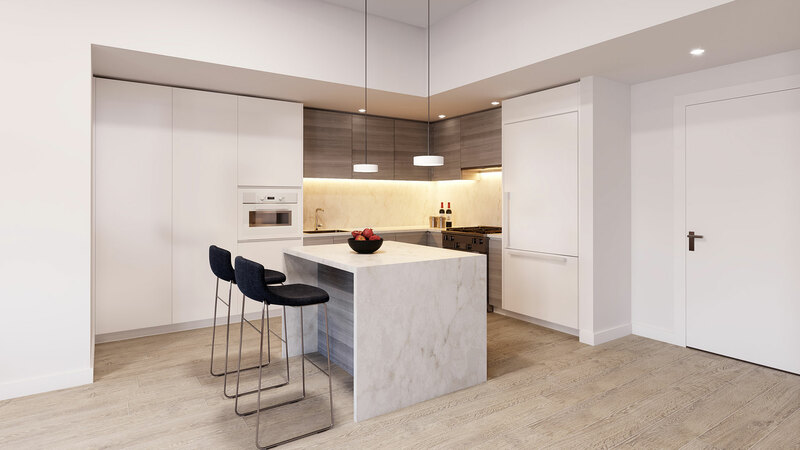 Every kitchen features custom cabinetry, caesarstone countertops and backsplash along with a full array of Miele appliances. Custom design meets pure elegance. 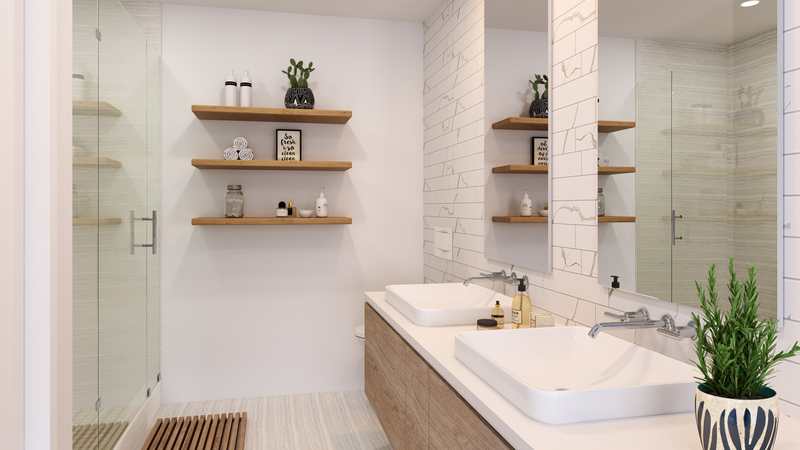 All units feature caesarstone vanity tops, marble and porcelain wall tile and Kohler fixtures. Find your personal getaway in Hoboken’s North End. 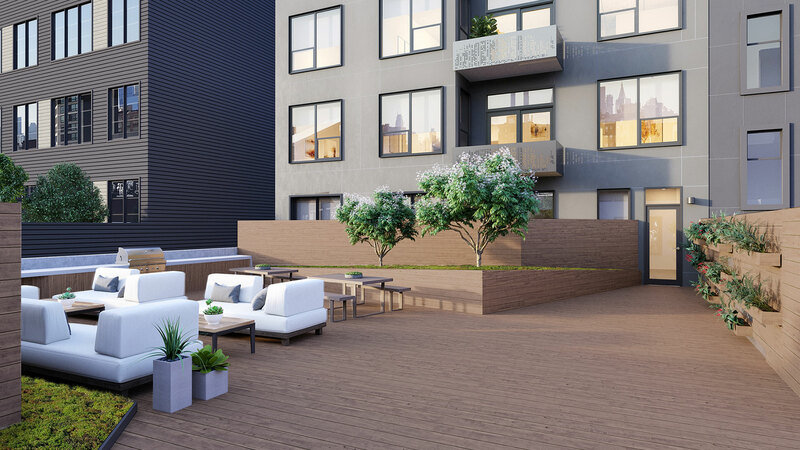 Parks, entertainment and space to thrive are amenities in themselves at Via Lofts. Additionally, enjoy and entertain on the large deck featuring outdoor lounging, sunning, cooking and dining. Sustainable construction, refined design details and total committment to the community. Custom, modern Italian-style cabinetry, caesarstone countertops and backsplash along with a full array of Miele appliances. Featuring green roof with outdoor grills and lounge. 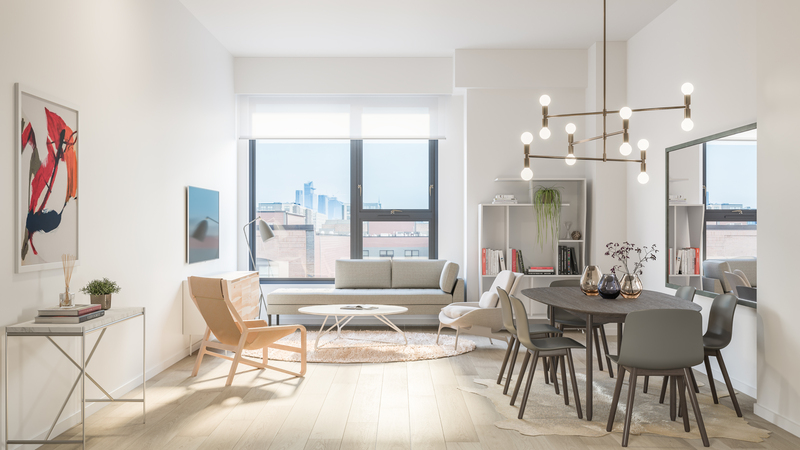 Condos feature wide plank white oak flooring and select units feature private terraces. Featuring caesarstone vanity tops, marble/porcelein walls and completely outfitted with Kohler hardware.